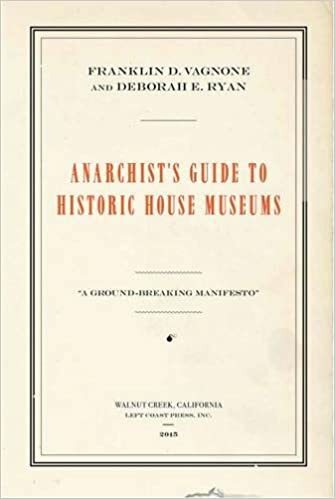 This event will feature a book talk with Franklin D. Vagnone and Deborah E. Ryan, authors of the Anarchist's Guide to Historic House Museums. The program will begin at 5:30pm with refreshments until 6pm, followed by the presentation from 6-7pm, closing with networking from 7-7:30pm. Online Registration Required. Please register no later than midnight on April 4th. Please note that you MUST pay in advance online in order to attend this program. (You DO NOT need to have or create a PayPal account to pay online). If you have any questions or concerns regarding payment, please email programming@nycarchivists.org. A.R.T. graciously thanks NYU's Archives and Public History Program for co-sponsoring and hosting this event!